Because T-SQL (and therefore pass-though queries) allow multiple statements to execute, you can turn the option off, and then back on again in the same query. Please note that I DID set the option back on at the conclusion of the query. That's because it will set it OFF for every pass-though query in this Access session, and you may not want that. It is always best to set an option back the way it was to avoid confusion. 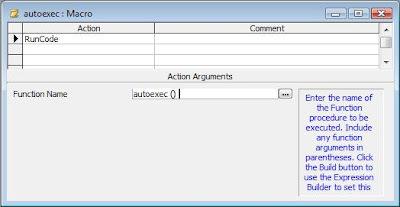 This can be useful when you are converting an Access SQL statement (that has a lot of delimited text values) to T-SQL. Instead of replacing the quotes with apostrophes (remembering that Access Query Builder does not have a find and replace feature), you can simply bracket it with the QUOTED_IDENTIFIER option. In my earlier post: What are the differences between Access SQL and T-SQL?, I discussed in the differences between Access SQL and T-SQL in general terms. This time, I want to expand upon the differences in how delimiters are used between the two. Delimiters are generally used around explicit values in SQL statements. By explicit value, I mean a value in one of the fields upon which you are searching. For instance, if I wanted to find the value "Roger Carlson" in a field in my table, I would surround the value in quotes (in Access), as I'll demonstrate a little later on. Different types of data require different delimiters. Note: For all of the samples I'll be using a simple SQL Server table. 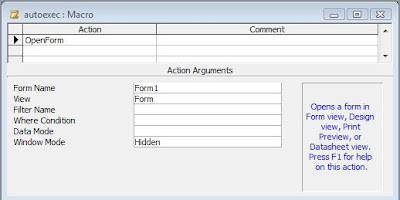 Access queries will be against a linked table. T-SQL statement will be as pass-through queries executed in Access. As such, table names in the Access queries will start with 'dbo_', whereas T-SQL table name with have 'dbo.'. Text values do require a delimiter. This can be useful when the field value itself has a delimiter in it. For instance, if the name is Bob O'Brien, using the quote delimiter will not produce an error, whereas an apostrophe would. Generally, the only delimiter used is the apostrophe (') -- although there is an exception, which I'll discuss below. To query a name like O'Brien, you'd double the explicit apostrophe (one of those "other" solutions I mentioned). Note that this is TWO apostrophes, not a quote. The date delimiters between Access SQL and T-SQL are also different. Access uses the pound or hash mark (#). T-SQL uses the apostrophe ('), just like text values. In either case, the query engine will interpret the explicit date in US date format, so the above it February 1st, not January 2nd. If the date format is an issue, it's best to use the YYYY/MM/DD format. Both Access SQL and T-SQL can use wildcards with the LIKE operator to allow the user to query for a character or group of characters anywhere within a text field. For instance, say if I wanted to know just the Carlsons in the table. In Access, the wildcard most used is the asterisk (*). The question mark can be used to act as a wild card for a single character only. T-SQL uses the percent character (%). So far, I've only discussed delimiters in regards to explicit values. However, identifiers (that is, table names and field names) also must be delimited when they contain illegal characters like a space or question mark or others. In order for the query engine to recognize a tablename or fieldname with spaces (or other illegal characters) in it, is to delimit it. T-SQL has two delimiters available. Left and right brackets ([…]), just like Access, but it can also use the quote marks ("…"). Now, at best, using the quotes as identifier delimiters is a curiosity, except it explains the odd error message you get when you try to execute an Access query with text identifiers in T-SQL. Notice that the error is an "Invalid column name". That's because it thinks "Roger Carlson" is a column, not an explicit value. Access SQL and SQL Server's T-SQL have more in common than differences. They share much the same structure, syntax, and many functions. And yet for all that, the differences can be frustrating. There are many times when an experienced Access user will know exactly how to do what they want in Access, but cannot figure out how to do the same thing in T-SQL. This is especially true when trying to convert an Access query to a Pass-Through query. A Pass-Through query passes the SQL Statement on directly to the Server database (ie: SQL Server, Oracle, etc.). The problem is it must be in the syntax used by the Server database. I'll start by just listing the basics, but I'll spend some time over the next few months expanding on them. The following is certainly not exhaustive, but they are differences that cause most of the confusion when first trying to use T-SQL. Both Access and SQL Server have the DISTINCT predicate which follows the SELECT, but T-SQL does not have DISTINCTROW. No counterpart. Must use subqueries. Parameter queries as known in Access SQL cannot be converted directly to a Pass-through query. The most common way to simulate parameters is to build the Pass-Through query in VBA code and then execute it. Variables are another thing which Access does not have that T-SQL does. Variables provide another way to parameterize a T-SQL query. These two things go hand in hand. In Access, a "query" can only have a single SQL Statement. But in T-SQL, you can execute multiple SQL Statements. You can even use a Make-Table query (SELECT..INTO) to create a temporary table, which can be used in subsequent SQL Statements. You can use this feature in an Access Pass-Through query. There are, of course, many more differences between Access SQL and T-SQL. What I've concentrated on here, are those "gotchas" that crop up when trying to convert an Access query to a Pass-through query in T-SQL syntax. I'll discuss the details of these differences in future posts. 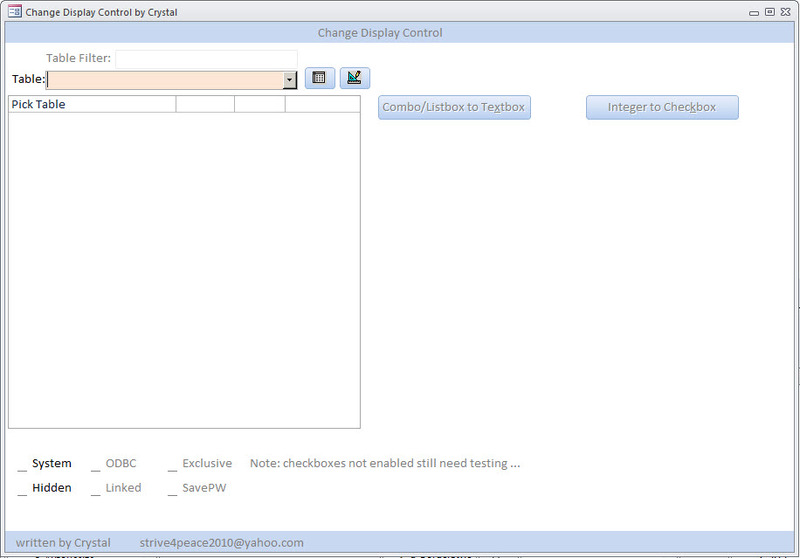 When you first open the f_DataDICTIONARY_DisplayControl form, you will not see much until you choose a table to look at.